Don’t ignore your consistent, yet severe back pain as a common medical condition that almost everyone is suffering with! As apparently, according to the National Institute of Neurological Disorders, and Spastics Society of India, back pain can sometimes be an indication of more severe conditions, identified to be as the Ankylosing Spondylitis. Ankylosing spondylitis is regarded as the progressive form of arthritis, mainly triggered in the spine but may even progressively risk hips, knees, and shoulder joints, depending on the severity of the issue. Back pain, being a more common issue is often vindicated with other milder forms; due to which, urban population is being reported to spend more than 50 billion $ in curing the lower back pain. The research is mainly come up with the clarification that ankylosing spondylitis is an inflammatory arthritic condition of the spine, associated with vertebral fusion leading to immobility, decreased functionality, and abnormal bone growth. Although it is a kind of ailment, with which mainly older people are affected, some of the first sign of symptoms can as well appear in their early 20s. Conventionally, only steroidal medicines with anti-inflammatory properties were being offered to patients, with no possible curative measures. Moreover, long-term exposure to hormonal supplements has been reported to aggravate other serious conditions like functional failures of important organs, such as liver, kidneys, etc. However, recent medical advancements have suggested application of stem cells therapy to be a better and indeed more effective option, against offering better regeneration of deformed tissues. Thus, it would always be advisable that one has to be aware of the symptoms and what are they pointing towards at; which may lead towards increased accessibility for the better treatment. 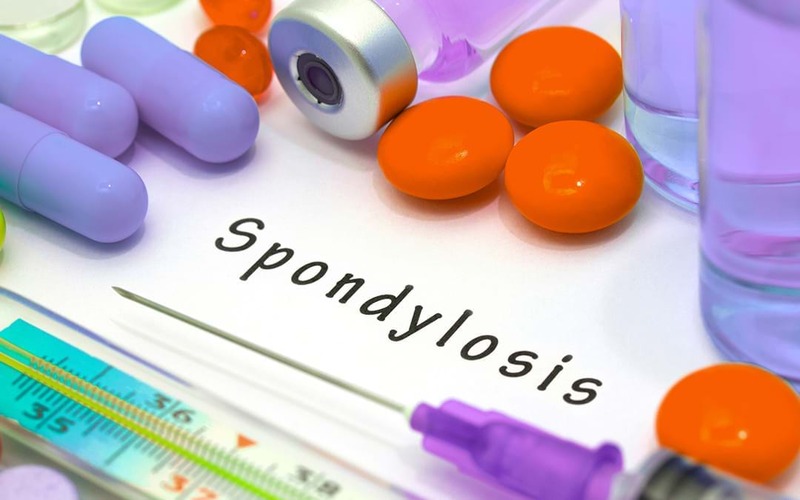 If, in case one is suffering from some of the below mentioned symptoms then it could be ankylosing spondylitis, which needs urgent medical attention. For almost every spinal cord ailment; backpain with simultaneous stiffness is the cardinal issue. Although, the pattern and the nature of these symptoms can be variable, depending upon the condition as well as the severity of the ailment. In case of ankylosing, a person with symptomatic initialization generally experiences shooting pain, starting at the lower back region towards his buttocks. The pain episodes are often gradual, spreading over few weeks to even a month. Being an inflammatory disorder, pain as well as stiffness is often noted to increase in both the extremes, as in, due to over resting as well as due to exercise. Some people often have complained about extreme, unexplained pain in the heels, wrists, ankles, etc. A constant irritating pain may often reduce the functional capability of a person, leading him to completely immobile state. Sudden chest tightness, strapped-in feeling, tender ribs, difficulty in breathing can be linked with the existence of ankylosing spondylitis, which can aggravate progressively. Iritis is often noted as one of the primary symptoms of degenerative spinal conditions, like AS. It is generally being referred as the spinal inflammation, associated with pain around eyes, headaches, light sensitivity, redness, change in pupil size, blurred or cloudy vision without any solid reasons, etc. If a person is experiencing one of these, along with his back issues, he has to get it checked for ankylosing, ASAP. Progressively, since the pain and the stiffness episodes get flared up with more frequency, the continuous irritating pain can drag a person in more depression, functional inability and unexplained fatigue. Many of the reported cases have as well noted anemia as the primary issue, leading toward mood swings and fatigue. Prolonged state of diarrhea and passage of blood stools for more than 2 weeks continuously, is a serious indication of degenerative disc disorders, like AS and hence needs to be taken to an expert notification immediately for faster diagnosis. Bladder as well as bowel disorders have been referred to as initial symptomatic indications of Ankylosing Spondylitis. Thus, early investigation of progressive degenerative spinal conditions, like AS could lead to the in-timely prognosis; for which alternative regeneration of tissue can be achieved with the application of latest stem cells technology for better functional attributes and delaying the progressive degeneration.